We're offering three (3) Months of Unlimited Yoga for just $249 from now until May 31! Pass is valid June 1 - August 31. Want to come to yoga but would like a Private Class? Call the studio at 402-614-2244 to book your session today! We offer private classes for both groups and individuals. $70 for an hour private, $80 for 90 minutes and $120 for Group Sessions. This is a perfect setting for students that are recovering from surgery or cancer treatment as yoga is very healing! We have Gift Certificates available in any amount you wish that come in Karma Yoga Omaha Greeting Card specially made for you! Call or come into the studio today to give the perfect gift to that someone special. Karma Yoga offers a wide variety of yoga pants, tops, mats & more! Stop in the studio to check out our inventory of Onzie, Soul Flower, and more. Get your official Karma Yoga Omaha gear. Specialty body balms, handmade one-of-a-kind jewelry from Julene Warren the Bead Chick. Treat yourself today! We love to hear your comments and questions. Please send us your feedback! Please choose purchases carefully. Returns are granted for in-studio credit only. No cash back issued on clothing and passes. We also can rent rooms for certain occasions for $75. Ask Lisa for details. **First time students receive their first month of unlimited yoga for just $50! 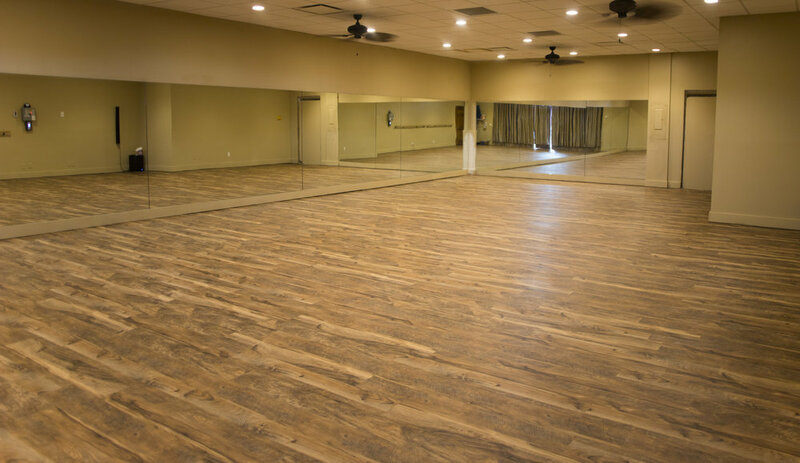 This is a beginner friendly hot yoga class that is practiced in a room heated to 105 degrees with 40% humidity. Hot 26 consists of the same 26 yoga poses every class; twelve standing poses, fourteen on the floor. Each pose is done twice, with resting in between. Hot 26 works the entire body, inside & out – restoring fresh oxygen and energy to every fiber of the body. Class is 90 minutes, please be sure to bring your yoga mat & a large towel. Also, its important to remember to drink plenty of water the day before coming to class. This class includes all 26 postures from Hot 26, but performed in 60 minutes. This class is also practiced in a room heated to 105 degrees with 40% humidity. Hot Express takes fewer resting postures and links some of the postures together. Perfect for those who enjoy the Hot 26 but need those extra 30 minutes in their day. You’ll need your yoga mat, large towel, and remember – hydration before class is key! Hot 26 experience is helpful, but not necessary. One of the most popular styles of yoga today, Hatha yoga is wonderful practice for students of any level of experience. This beginner friendly yoga class opens the body and cultivates the free flow of energy within the body. Perfect for any student wishing to increase balance, strength, & flexibility. Hatha Yoga is an excellent tool for self-transformation; bringing awareness to your body and breath. These 75- & 90-minute classes will energize you both body and mind. Synchronizing breath with movement & dance-like transitions, this heated flow yoga class offers students the opportunity to mindfully find a deeper edge in their yoga poses. Held between 90-99 degrees, our teachers offer a variety of styles of hot flow classes that are available to any level of experience. These 60- & 75-minute classes incorporate music with movement to increase endurance, focus, and concentration. Please remember to hydratebefore coming to class. Beginners is the perfect class for new students to learn the foundations of yoga as well as experienced students to return to the basics. This class includes beginner-friendly yoga poses and introduces students to the aspects of yoga beyond our yoga mat. Classes are 60- & 75-minutes and build strength, flexibility, and balance while finding peace & relaxation within. This gentle yoga class incorporates breath with movement to create a fluid, dance-like yoga practice. This 75-minute class is appropriate for all levels of experience and encourages mindfulness to the foundations of the yoga poses. Beginners Slow Flow offers both new & experienced students the opportunity to increase their mindfulness in movement, finding steadiness & ease in their practice. Yin Yoga is a very slow, stationary practice using yoga poses that encourage the body to relax rather than engage. Release layers of deep tension held not only in the joints & fascia of the body, but also tension in the mind. After finding “our first edge”, poses are held two to five minutes with the use of props to allow deeper opening in the connective tissue. Yin Yoga is a perfect way to slow down and reflect within, enjoying the peace & energy around you. This 90-minute meditative practice is open to all levels of yoga experience. This Hatha Yoga based class is held in a heated room ranging from 90-95 degrees. Stiffer Bodies is a perfect class for students who would like a little extra help finding a stretch in the body. Using the heat to enhance our yoga poses, it allows students to find more ease in releasing tension built up in the body. This 60-minute class works to decrease muscle tightness in the entire body. Stiffer Bodies Yoga is appropriate for all levels of experience. A Yin Yoga based class to ease tension found in the neck, shoulders and hips from long days behind your desk or sitting in vehicles. A perfect after work pick-me-up, this relaxing class focuses on opening the hips and relieving tension in the neck & shoulders. This 60-minute yoga class encourages students to find a deeper release in both body and mind. Any level of experience is welcomed. Start your day off with 30 minutes of peace and clarity in the mind. This FREE Meditation Class will help you create awareness within and bring a stillness to your mind. Increasing focus, concentration, and relaxation, meditation class will leave you feeling light, energized & ready to tackle the day. No experience needed, all students are welcomed. Restorative Yoga is perfect for anyone in need of healing in mind, body, or spirit. This 90-minute class guides students through longer holds in passive, supported yoga poses that ease the effects of chronic stress in the body. Students are encouraged to find relaxation and ease, finding a lightness in their being. This gentle, meditative class is enhanced with soft music and lighting with inspirational readings to find a renewed source of energy within. This new chair-based yoga class offers both sitting and standing postures that easily transition from yoga mat to office chair. This class is highly beneficial for students who spend a lot of time sitting down during their day. Enjoy 60 minutes of gentle stretching that will leave you feeling refreshed and ready to tackle the rest of the day. Hyp-Flow Yoga guides students through a gentle, flowing asana practice ending with an extended, deep relaxation savasana. With the added benefits of hypnosis to help quite the ‘monkey mind’, Hyp-Yoga Flow is perfect for those who would like to find a little more peace within. Enjoy 90-minutes of mind clearing practice that will leave you feeling relaxed, refreshed, & at ease. These deep, guided relaxation techniques can also be experienced in some of our Stress Relief, Restorative, and even Yin Yoga classes. This Vinyasa based power yoga class includes fluid movement between postures synchronized with the breath. This challenging and exciting class comes with great instruction and incorporates music to keep you moving through posture sequences designed to internally heat and detoxify the body. This class is perfect for students looking to increase strength, endurance, & flexibility with a little extra challenge. Tai Chi is a traditional Chinese martial art involving slow and continuous movements that incorporate unilateral and bilateral weight shift, trunk and extremity rotation. It is a low impact exercise. This ancient system of exercise focuses on loosening the joints and spine to relax points of tension in the body. It is conventionally thought that perseverance in practicing Tai Chi can regulate the flow of qi ( energy) in the body and help strengthen one's health. Tai Chi is often described as a 'moving meditation' because its slow, turning motions relieve stress, improve circulation, and help create a sense of peacefulness. Young yogis ages 4-12 are welcomed for 60-minutes of yoga fun! In Kid’s Yoga, little yogis will learn yoga poses for kids, play yogi games, fun chants, yoga stories & even play with a singing bowl. Class will also incorporate concepts of meditation, stillness, and mindful awareness of what’s going on within & around us.